Designed to fit over the back of a classroom chair, this patented storage pocket provides plenty of room for notebooks, papers, and other school supplies with its integrated pocket. 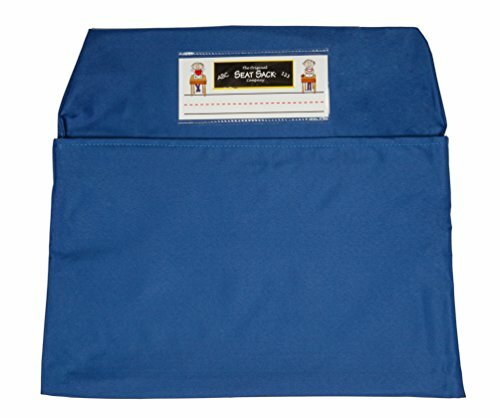 The Large size sack is perfect for students in grades 3rd thru 6th. This product features a high-quality, flame-retardant poly/cotton backed fabric that is machine washable. Available in a variety of colors. Made in the USA. Machine Washable. Flame-Retardant. Great for storage at tables. If you have any questions about this product by Seat Sack, contact us by completing and submitting the form below. If you are looking for a specif part number, please include it with your message.